The City of Fort Walton Beach shared this picture of one of the City’s pump stations after baby wipes caused a bit of a mess. 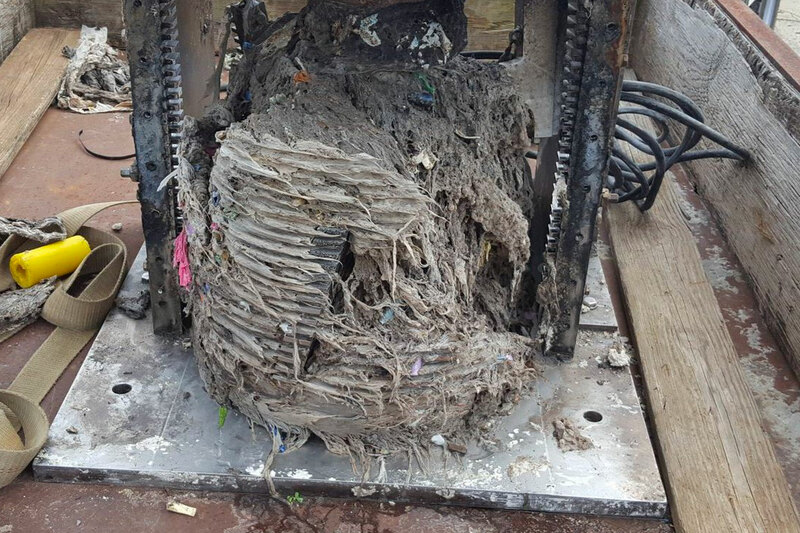 This mess was caused by baby wipes at one of the City’s pump stations today! Please think before you flush: Ask yourself if it could potentially cause a problem somewhere down the line. If you know it will or you aren’t sure… don’t flush it! And, remember – definitely no baby wipes, paper towels or grease down the toilet or drain. While many baby-wipe-producing companies are labeling these products as safe to flush, the general rule is to not flush baby wipes as they eventually cause problems as they move through the sewer system.